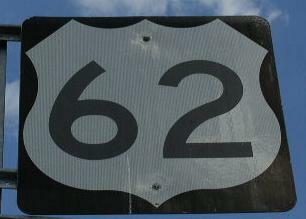 U.S. Federal Route 62 runs east-west across Scott County. It goes from the Woodford/Scott County Line, near Midway, to the Scott/Bourbon County Line, near Leesburg. U.S. Rt. 62 passes through the following towns in Scott County. U.S. Rt. 62 is multi-plexed in Scott County. U.S. Rt. 421, from the Scott/Woodford County Line, to near Georgetown. BY-PASS U.S. Rt. 460, at Georgetown. U.S. Rt. 62 intersects the following highways in Scott County. U.S. Rt. 421, near Midway. Kentucky Secondary State Route 1973, near Georgetown. U.S. Rt. 25, at Georgetown. Kentucky Secondary State Route 1962, at Georgetown. U.S. Rt. 460, at Georgetown. 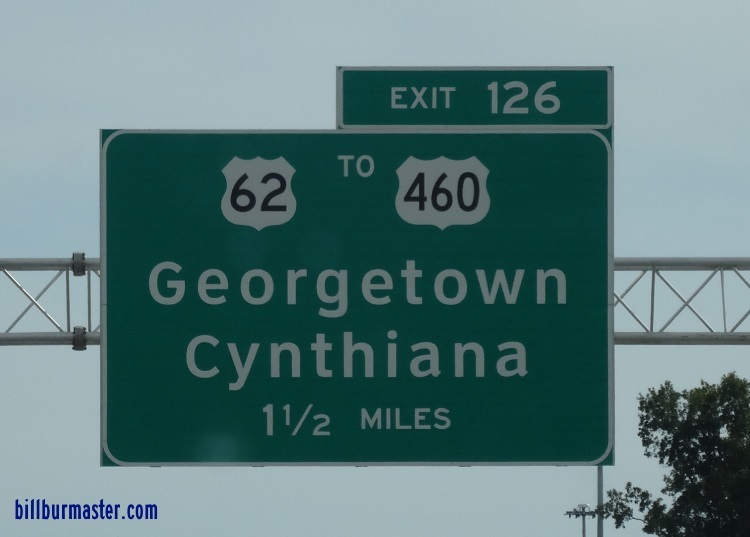 Kentucky State Route 32, at Georgetown. Kentucky Secondary State Route 2906, at Georgetown. Kentucky Secondary State Route 3552, at Georgetown. Kentucky Secondary State Route 3487, near Georgetown. Kentucky State Route 922, at Oxford.